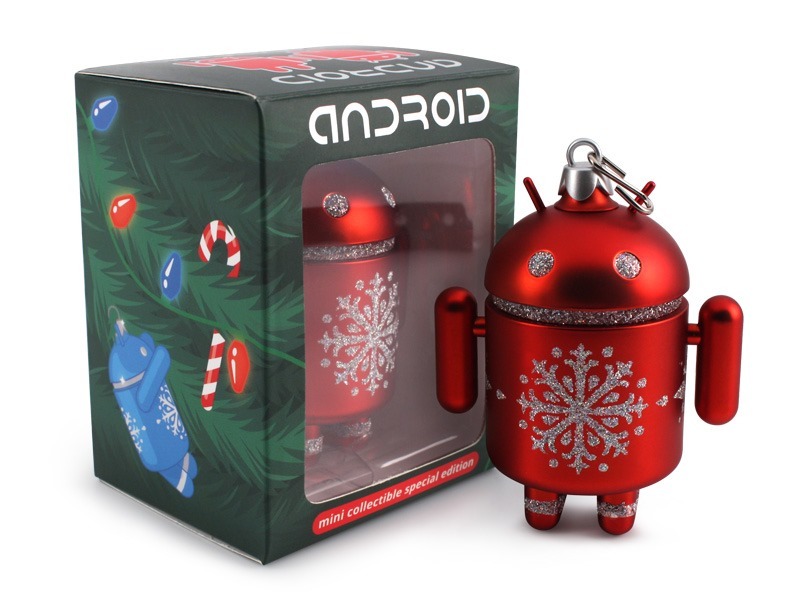 Do you wish to display your love of Google-branded operating systems to your friends and loved ones, but find Hallmark's selection of nerdy ornaments unaccountably lacking? Then Dead Zebra has your back. 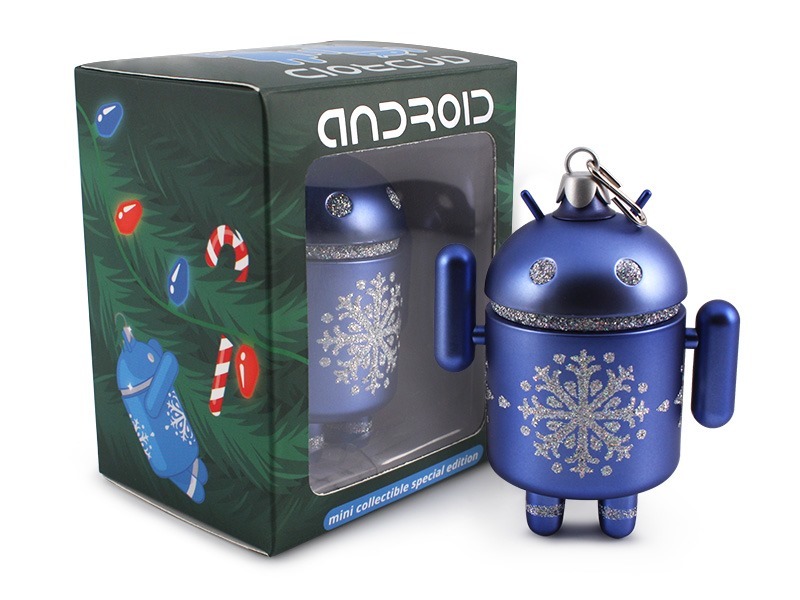 They're selling a modified special edition of the ever-shifting Android figurine that's been modified into a Christmas tree ornament. You can pick up one of these shiny fellows in red or blue for $10. There's a limit of two single ornaments for each order, but if you need enough to make your tree positively spangled with tiny toy robots, there's also a "Tree Pack." It includes five red and five blue ornaments for $90, a 10% saving. 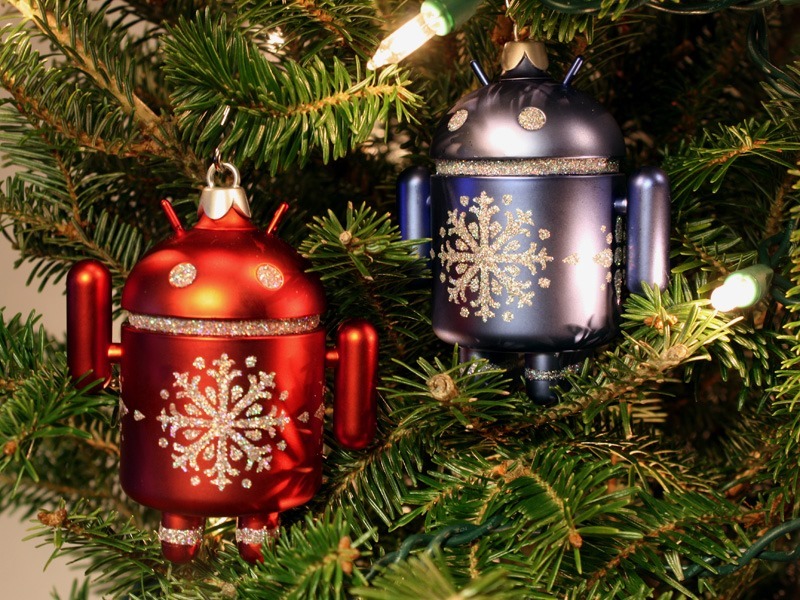 The ornaments are painted with a metallic shimmer and glitter, but rest assured they're the same durably nylon that the rest of the Android figures are made out from. Sales begin at 11 AM Eastern time, and these holiday editions tend to go quickly, so get an order in fast if you want one (credit cards only). The Dead Zebra store will also be restocking its supplies at 11 PM EST, and will probably have more stock periodically over the next few weeks. U.S. customers are encouraged to spring for Priority Mail shipping if you want to get your ornaments on the tree by Christmas Eve. International orders probably won't make it through in time for the holiday. Update: Dead Zebra's web store is buckling like a Motorola server on Cyber Monday. Keep trying if you want your toys.